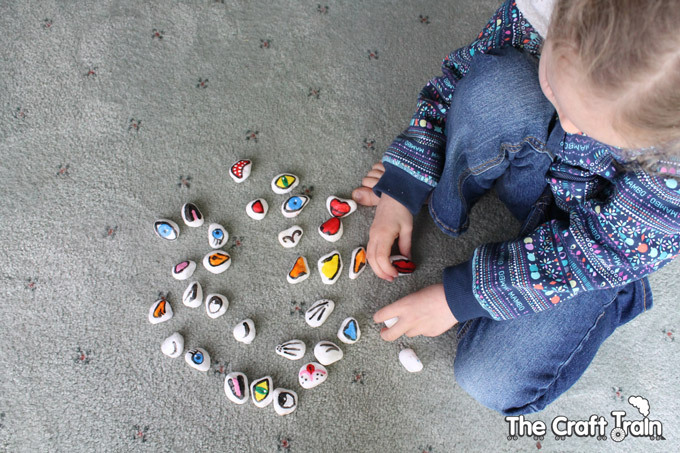 This week we pulled out some white rocks that were stashed away in the back of the craft cupboard for no particular purpose. Sometimes I buy things, feeling sure that I will “make something one day”, but once they are put away they are completely forgotten about. 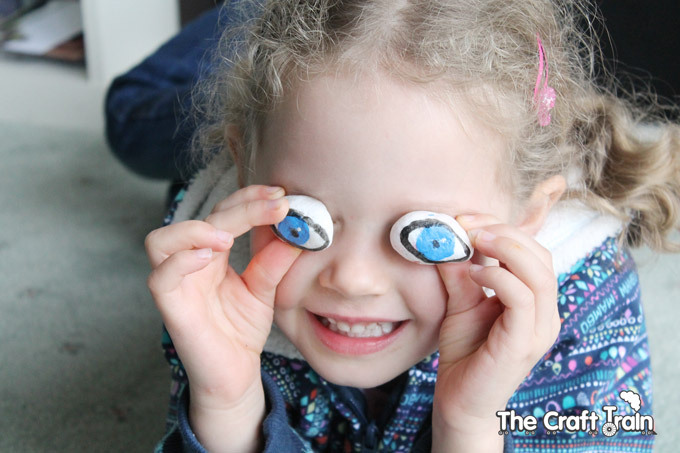 Until the kids pull them out, of course, and decide to do some craft. Now to be completely honest, the kids did not make these rock puzzle pieces at all. I made them, and while I made them the kids did their own crafting beside me. For miss R it was painting a bunch of the white rocks in different colours to turn them into “precious gems”, and for miss K it was painting a stash of cardboard tubes to be turned into a robot at a later date (yet to be completed). 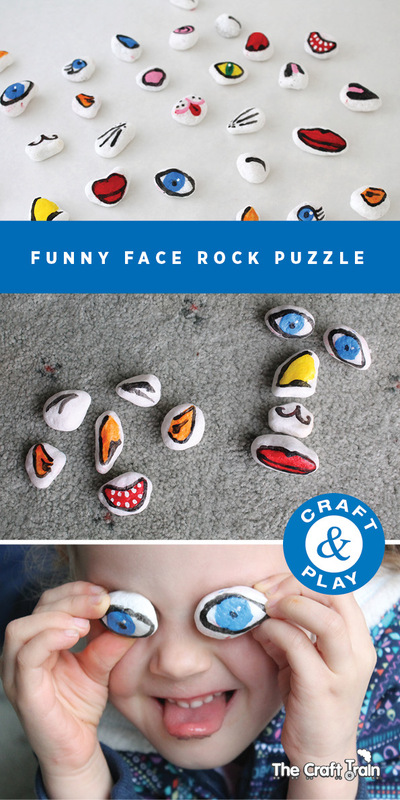 BUT I’m sure that there are some kids out there who would like to make a funny face rock puzzle like I’ve done, and even if you need to do it all yourself the little ones will love making faces with them once they have dried. • Rocks – white is good because the colours come up lovely and bright. If you use grey rocks that will work too but the colours may need more than one coat if you are using kids water-based paint on them. • Optional: A sealer – I used a water based non-toxic one that is safe for kids to use called Glaze Paste, or mod-podge would also work. 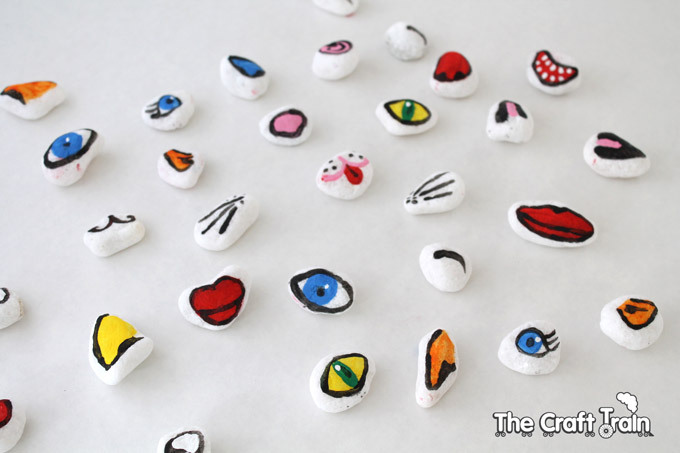 Paint a different facial part on each rock. 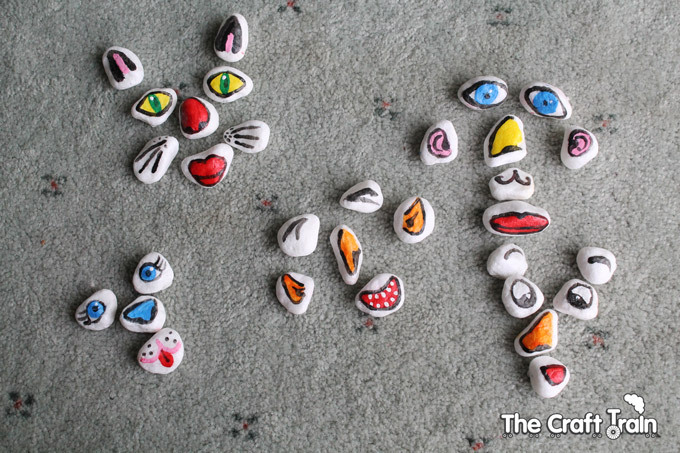 You can make all different eyes, mouths, noses, ears and then add in a few extras like moustaches, eyebrows, whiskers and whatever else you can think of. The more the merrier. I created five different faces worth of features, including a cat. 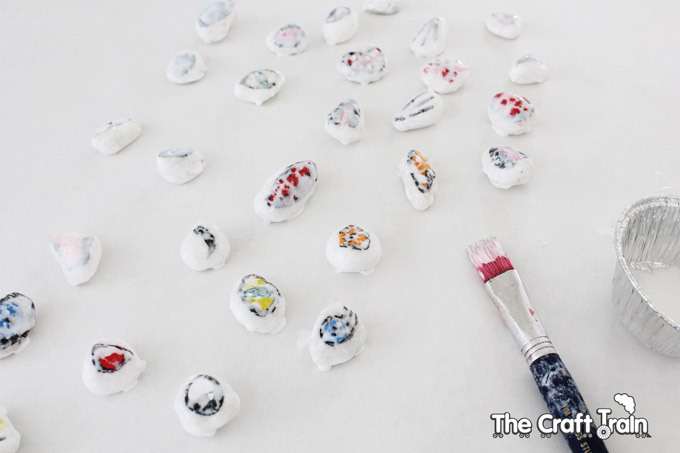 Allow these pieces to dry, and then cover them with a protective coating of glaze paste or mod-podge. It was a cold and cloudy day when I made these, so the glaze paste took a long time to dry (most of the day). Once that’s dry it’s ready for play. 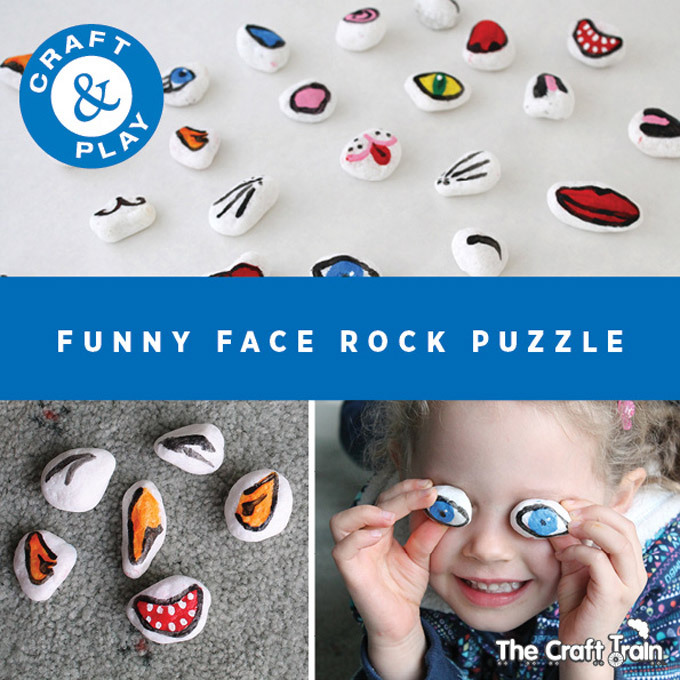 See how many faces your kids can come up with. They are fun to mix up. Miss K enjoyed playing with the rock puzzle. 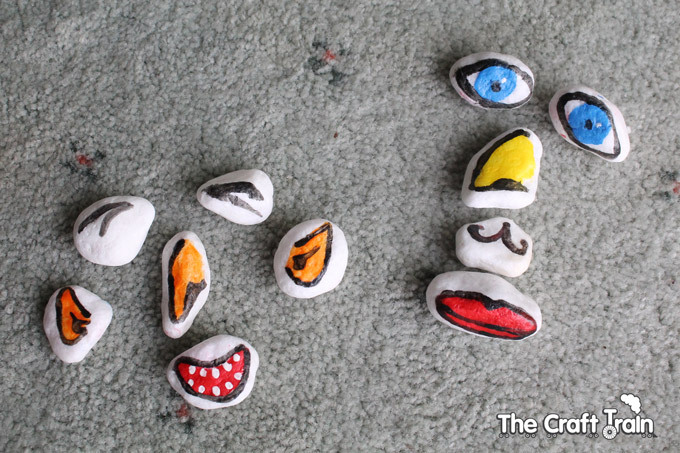 She lined all the rocks up, and then made a few funny faces. 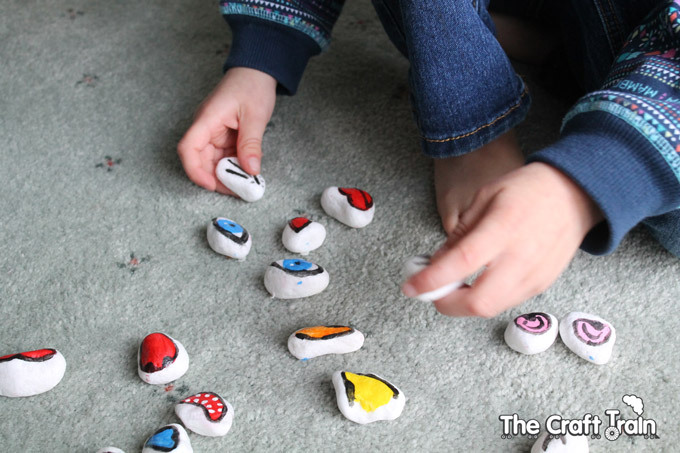 These rock puzzle pieces would also make a nice addition to a busy bag or quiet time box. Love this idea, very original! Sharing on our Pinterest page!